Large interior lot with 2 RV hook-ups, upgraded electrical and dump stations. Lot has been surveyed, is level and cleared. 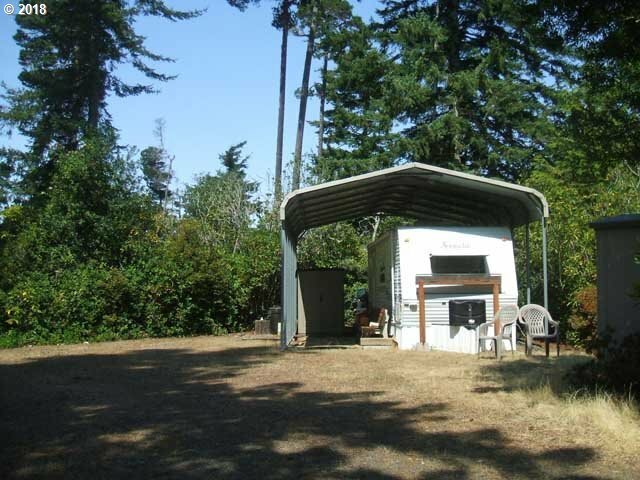 Small travel trailer and 2 sheds included.